The people in and around the Copper Corridor were recently thrown into an uproar when they heard of the rumored closure of CAC’s Aravaipa campus. In response, at the last board meeting, citizens from all around the area, and Pinal County, flooded the Aravaipa campus with protests against closing. All of the seats at the board meeting were occupied, and people still came inside and stood during the proceedings. When floor space ran out, people listened to the audio through the speakers mounted outside. The governing board meeting took place on April 19th, at the Aravaipa campus. When the board meeting began, the room was very crowded. As it progressed and people had their say, some left. By the time 8:30 PM rolled around, and the call to the public was nearly finished, the majority of the seats were still filled. The call to the public lasted about two hours, which is unusually long, and about forty-five people spoke. Of those forty five people, over half spoke against the closing of the Aravaipa campus. Those that spoke ranged from former to current students, professors, representatives from the Copper Corridor Economic Development Coalition (CCEDC), residents from the area surrounding the Aravaipa campus, and professionals that work in businesses with ties to CAC Aravaipa. The idea that there are plans to close Aravaipa campus most likely came from recent rumblings behind closed doors, where unhappy citizens tried to figure out where the college could spend less money. The rumors swelled alongside unhappy wallets, and when the people who ardently support CAC and the Aravaipa campus got wind of the rumors, they decided to speak up in the face of any possible traction the idea had gained. 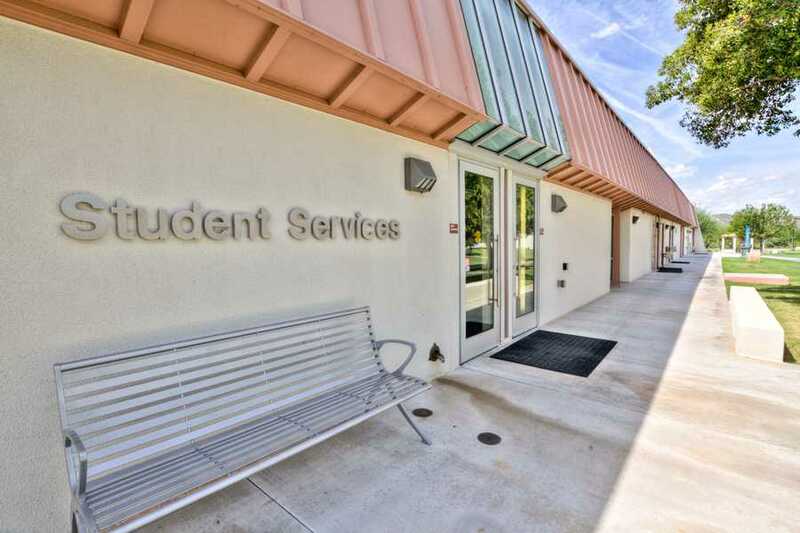 During the April 19th call to the public, and previous ones, a recurring topic brought up was the declining number of CAC enrollments, which would point to a lessened need for satellite campuses so as to save money and lessen taxpayer burdens. Edward Aguirre, a student who attends CAC through the Aravaipa campus, was the first speaker at April 19th’s meeting, and addressed this topic. “The number of graduates does not define nor begin to encompass an institution.” Similarly, one cannot count enrollment as a factor in closing campuses, outside of special circumstances. Typically, lessened enrollment points to economic factors such as the cost of living and the demand for jobs to sustain the costs. By and large, however, the community rallied around to protest the potential closing of the campus. Many arguments were made for the continuity of Aravaipa. Jamie Wolgast stood up front and described the College for Kids program which takes place at Aravaipa campus every summer. The program takes in kids, and encourages them to “get excited about learning”, and they learn about STEM topics as well as art. Education is not the only purpose that the program serves, as mentors and teachers such as Jamie Wolgast also serve to advise kids and help them as they go. This program only takes place at Aravaipa. There are a few reasons that a small group of people consider closing smaller campuses to be a move beneficial to CAC. One of those reasons, as has been oft repeated at past board meetings, is the decreased amount of student enrollment –or rather, the lessened amount of students listed as full or part time students. According to the 2014-2015 Central Arizona College Fact Book, part time student enrollment has fallen 9.9% from the 2013-2014 school year. Full time student enrollment has gone down 4.1% in the same amount of time. The reason for this trend is not provided. However, nationwide, according to the Bureau of Labor Statistics the amount of high school graduates who enrolled in college the October after graduating fell about 5% from 2009 to 2013, so the trend at CAC can be considered a reflection of a nationwide happening. There is a very clear divide between the figures of those who suggested the closing of Aravaipa campus, and the people who rallied together to show support for the college. Some mentioned how grateful they were to have a campus in an area so rural, despite lower student attendance than highly populated areas. Sam Hosler said: “I see in the CAC code, that part of your motto, part of your mission statement is education that is accessible.” Many other people talked about how CAC affected them, and how it changed their lives. The last person to take the podium before the call to the public ended was Derrick Span, a professor at CAC. He spoke of educators and teachers, and the effect that higher learning has on people and the society. “I do understand, and we must not be indifferent and insensitive to those community members who are concerned about the rising of their taxes. You must hear their concerns and their cries. But I would offer this tonight: that if you think that education, the cost of education is too high, where do you see the rising cost of ignorance?” he remarked, before he finished off his speech to loud applause.